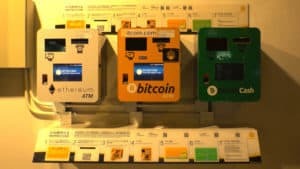 In a new research report titled “Crypto ATM Market by Type (One Way and Two Way), Automated Teller Machine Hardware (Display, Printer, QR Scanner), and Geography (North America, Europe, Asia Pacific (APAC), Rest of the World (RoW) – Global Forecast to 2023,” MarketsandMarkets suggests that the Crypto ATM market will go from $16.3 million in 2018 to $144.5 million in 2023. The compound annual growth rate (CAGR) for the industry will be 54.7% from 2018 up to 2023. As more industries accept digital payment and the number of fund transfers in cryptocurrencies rises, the demand for automated teller machines (ATMs) will increase as well. According to the report, the market for two-way crypto ATMs will grow at the highest CAGR between 2018 and 2023 as it offers the dual functionality of buying and selling digital currencies. Currently, people are more focused on one-way ATMs, but their two-way counterparts may start to gain prominence slowly. The display segment is expected to become the largest part of the crypto ATM market by 2023. Displays are the most vital part of an ATM because of the user-friendly environment it provides to ATM users. Additionally, a good display can save the cost of keyboards and extra fittings. These are the reasons why the display segment should expect consistent growth over the next five years. The largest share of the crypto market will be held by North America as innovation and adoption drive demand higher. The US has a large number of crypto ATM hardware and software providers, and no legal barriers to creating or using such products exist in the country as of now. In Mexico too, the government has declared Bitcoin a legitimate entity, which will be regulated by the Fintech Law. Canada, on the other hand, is already experiencing the creation of a start-up hotspot for the blockchain and cryptocurrency sector. The major players in the crypto ATM market are also nestled in the US like Coinme, Coinsource, COVAULT, Genesis Coin and Lamassu. 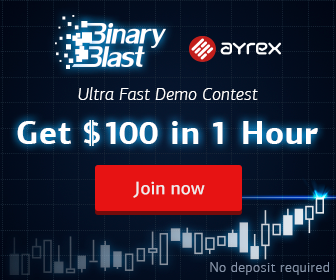 Other important players are Bitaccess from Canada, Bitxatm from Germany, GENERAL BYTES from the Czech Republic, Orderbob from Austria and RUSbit from Russia. Coinatmradar figures show that there are 3,641 crypto ATMs in the world, and 99.9 percent of them serve Bitcoin. About 56.7 percent ATMs also support altcoins, with Litecoin being the most popular. Seventy-three percent of Bitcoin ATMs are located in North America with the US hosting over 2,000 such ATMs on its soil. Crypto ATM Market Ready to Swell Up to $144.5 Million by 2023 was originally found on [blokt] – Blockchain, Bitcoin & Cryptocurrency News.